Fragrance free products might sound boring to some people, but they are actually really important for anyone with allergies or sensitivities to the scents and fragrances (natural or not) found in our everyday household products. 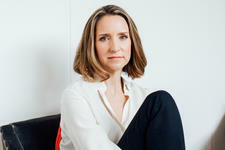 That is why I'm so excited to share some awesome news about Ecostore's unscented range of natural body care! 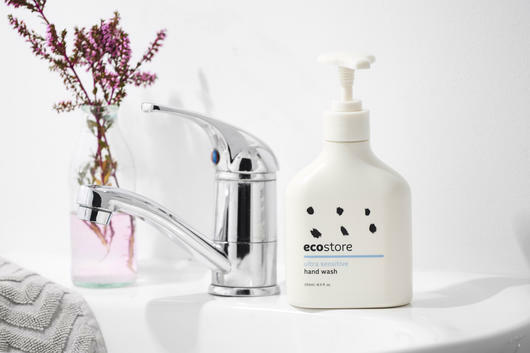 Ecostore has to be one of my all-time favourite ranges of natural body, hair and home products... it's totally affordable, natural and everything just does the job perfectly! Did you know they have actually been around for over 25 years too?! 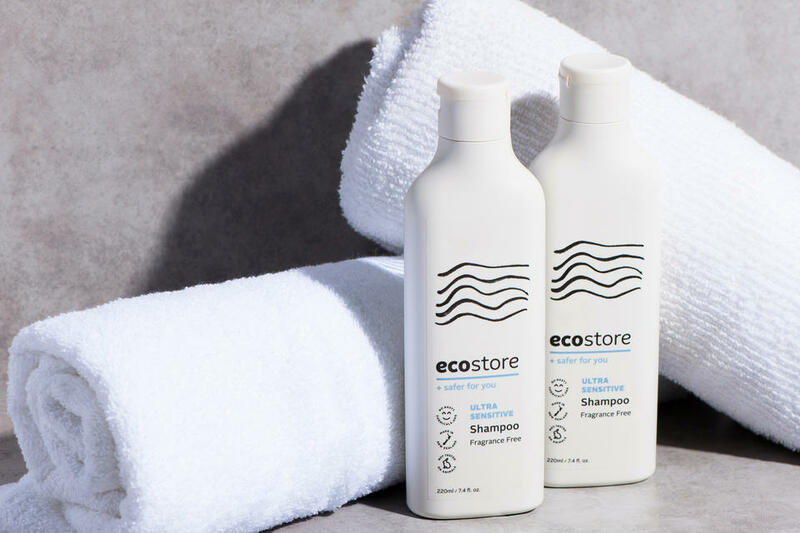 This awesome brand has always of course had a strong focus on the environment and our health, but now they've actually taken another step to support safe, naturally derived alternatives to everyday household products. Ecostore is now partnering with Sensitive Choice — a community service program created by the National Asthma Council Australia to help Australians living with sensitivities easily identify products that are asthma and allergy-aware. 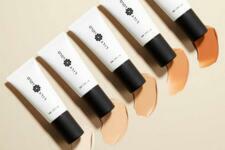 This is huge for anyone with sensitive skin, allergies or asthma! According to the National Asthma Council Australia, around 2.5 million Australians live with asthma — that's about 11% of our total population. Out of this 2.5 million, 55% of Australians living with asthma report one or more adverse health effects from exposure to fragranced products. 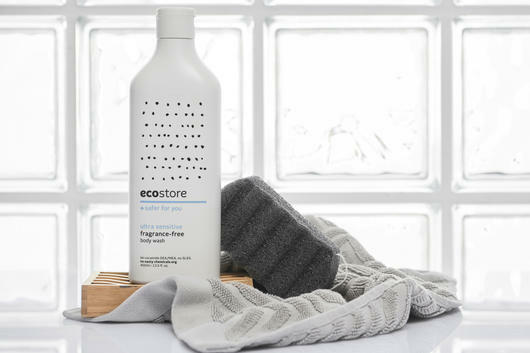 That's why Ecostore has partnered with Sensitive Choice to approve their fragrance-free Ultra Sensitive home and body care range — as tested by Sensitive Choice's rigorous, independent panel. This includes a respiratory physician, allergist, GP, pharmacist, a chemist and an engineer! 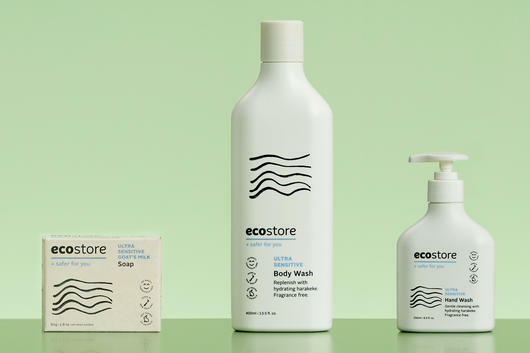 Ecostore's fragrance-free body care range is actually the first and only to be approved by Sensitive Choice in Australia, and is dermatologically tested for sensitive skin. Perfect for the whole family and all skin types, this unscented natural body wash thoroughly cleanses skin without washing away the skin's natural protective oils. Made from creamy, gentle and skin-softening Goat's Milk, this natural soap bar is long-lasting and totally fragrance free, making it perfect for very sensitive skin types. Great for the kitchen or bathroom, this gentle hand wash thoroughly removes dirt, grime and impurities without stripping the skin's natural oils, and actually works to leave hands feeling soft, smooth and nourished. This natural unscented shampoo is ideal for anyone sensitive to fragranced hair care products, designed to refresh and clarify hair and leave it silky smooth, soft and shiny. Pair with the matching Conditioner, also completely fragrance free! Sources: Ecostore, National Asthma Council Australia.